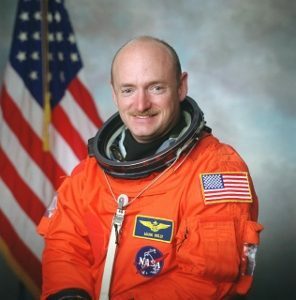 TUCSON, Arizona -- Former Space Shuttle Astronaut Mark Kelly, the husband of Congresswoman Gabrielle Giffords who survived a shooting in Tucson, Arizona, attempted to purchase an AR-15 rifle at a gun store near his home earlier this month. "Looks like the judiciary committee will vote on background checks next week. I just had a background check a few days ago when I went to my local gun store to buy a 45. As I was leaving, I noticed a used AR-15. Bought that too. Even to buy an assault weapon, the background check only takes a matter of minutes. I don't have possession yet but I'll be turning it over to the Tucson PD when I do. Scary to think of people buying guns like these without a background check at a gun show or the Internet. We really need to close the gun show and private seller loop hole." Additionally, Diamondback Police Supply will make a $1295.00 contribution (the selling price of the M400 rifle) to the Eddie Eagle GunSafe Program that teaches children, in pre-K through 3rd grade, four important steps to take if they find a gun. The emphasis of the program is on child safety, something that is important to all of us and at the core of the current debate on gun control,” stated Douglas MacKinlay, Owner/President, Diamondback Police Supply Co., Inc."
Did Central Florida Benefit From An Obama Administration Conspiracy Known As 'Project Gunwalker'?